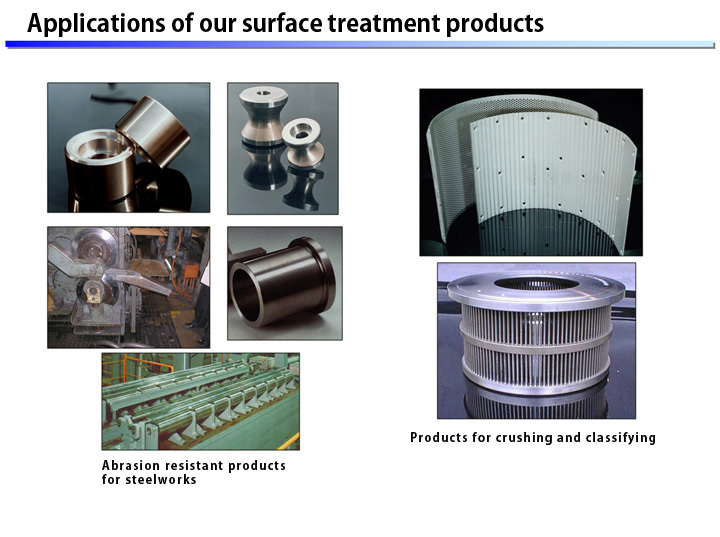 Surface Treatment Business｜Sumitomo Heavy Industries Himatex Co.,Ltd. Our surface treatment business has been engaged in production and sales of differentiated products with high resistances to abrasion and corrosion through sophisticated technologies of powder metallurgy. The differentiated products include SHM (surface hardened products), SMR (high alloy powder sintered products), SPH (high speed tool steel base powder sintered products), and SUM (centrifugally inlaid products).